Update October 2016: These are past sales. We have a new page that lists the latest Vitamix & Blendtec Sales that include Black Friday, Cyber Monday, and Christmas sales deals as they come available. 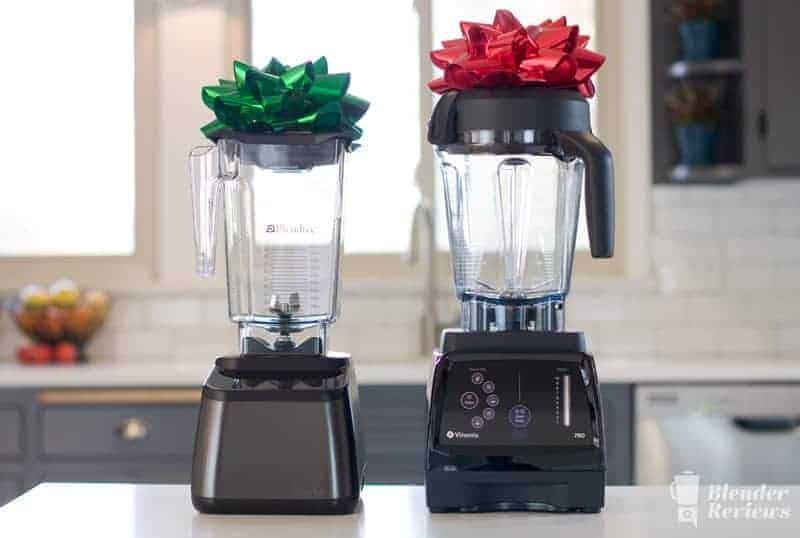 This year, Vitamix and Blendtec have released details about what to expect for their upcoming holiday season a bit earlier than normal. The sales are not as spectacular as past years, but if you’re thinking about buying a Vitamix or Blendtec for someone special someone (or yourself), you’d be wise to take advantage of these savings while they last. We’ll list out the all of the sale information we have along with their effective dates below. If you have any questions or need some advice, ask in the comment section, and we’ll do our best to answer right away. All orders placed using our promotion code in our links will receive Free Shipping and a Free Book. The book, “Liquid Raw: Over 125 Juices, Smoothies, Soups, and other Raw Beverages” will ship separately within 30 days of purchase. For only $50 ($65 CA) you can get an extra container for your new Vitamix when purchasing a new C-Series or G-Series blender. Vitamix decided to be a little liberal with their interpretation of “Black Friday” this year and has opted to expand their sale to run from Tuesday (November 24th) to the following Cyber Monday (November 30th). Now, there’s no need to worry about waking up bright and early on Friday and heading online to grab these deals. Vitamix has decided to drop the price on these even lower. The Reconditioned Standard Programs are now priced at $299. All Certified Refurbished Blendtec blenders have been discounted an additional $30 off of their already low prices. Note: there are limited quantities of these available, so you’ll want to act quickly to take advantage of the special pricing. For a few short days, all Certified Refurbished Blendtec blenders are now $50 off. These prices are the lowest of the year and won’t be discounted any further. These models typically sell out quickly, so if you’ve been holding out, now is the time to act. Also, you can save an additional $50 when you add any jar to your purchase of a new or refurbished blender. This is a great opportunity to pick up an extra WildSide Jar or a Twister Jar. Limited to one per order. Use Promo Code BLACKFRIDAY2015. Do you have any gifts you can recommend for someone who already has a Vitamix? Like a cookbook or accessories? Can’t wait to see the look on my wife’s face when she gets her new Vitamix this Christmas! Please clarify/confirm – from November 24 – 30, using your promotion code noted above, I can place order directly with Vitamix for ANY new Vitamix container and purchase for $50.00 – shipping included? Jeff, sorry the wording is a bit confusing. Any new 32, 48, or 64-ounce container is $50 off the original price during the November 24 – 30 promotion period. And, yes, free shipping is included when using the promotion code.